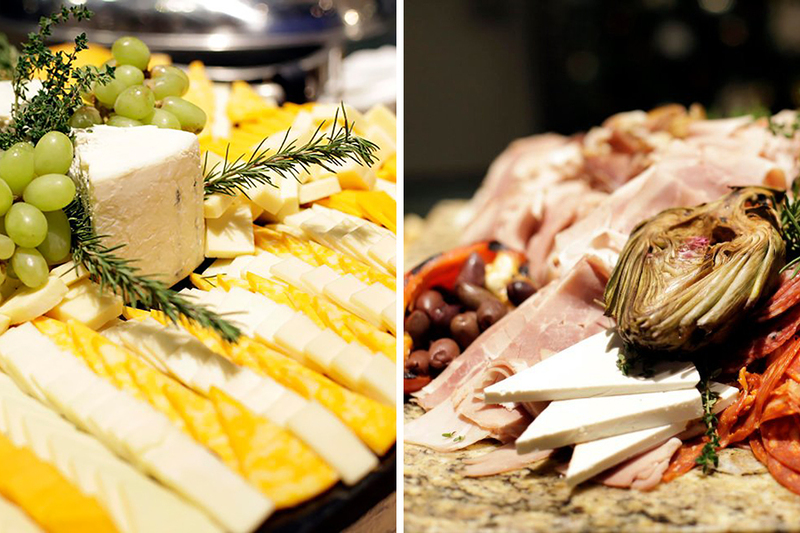 On today’s blog we’re featuring Applause Catering! Founded in 1989, Applause has incredible experience under their belts with catering all types of events, and delicious recipes to match! What is most important to Applause as a caterer is top notch customer service from the event designers to the service and culinary staff, we strive to meet and exceed our clients’ expectations at every turn. From the initial event planning sessions to executing the events with our experienced event managers, service and culinary teams we want each and every guest at our events to have a memorable experience from the venue ambiance, the friendly and helpful staff to the exceptional food. Yes, our dishes do vary per season. We certainly try to source as much local food as possible for our menus. And always offer advice to clients on when certain fresh items are at their peak (are in season). Some of our best (signature) appetizers are our Pita Feta Crisps, Avocado Egg Rolls, Sugar Glazed Bacon wrapped Water Chestnuts and our Cherry Pork Tenderloin Crostini. The items I just listed are all handmade piece items from our seasoned culinary team. From a presentation and taste standpoint, our La Grande Display is a WOW for any event! An assortment of gourmet meats and cheeses, chef salads, olives, artichoke hearts, dried fruits including dates and figs all cascading attractively on a table accented with fresh fruits, vegetables and hearty breads. Some of our stand outs include Applause Stuffed Chicken Portofino, Chicken Caprese, Cabernet Tenderloin Medallions, Maple Glazed Salmon and our Roasted Red Pepper Rigatoni. Our desserts are all created by our in-house pastry chef. From mini desserts to full size cakes and tortes she creates exceptional desserts. Our Applause Signature Chocolate Truffles are always a hit. In addition, our chef-attended dessert stations such as Berries Jubilee, Flaming Apple Pie and Bananas Foster are always a crowd pleaser. Corporate Events: Duo plate of Cabernet Tenderloin Medallions & Chicken Caprese. 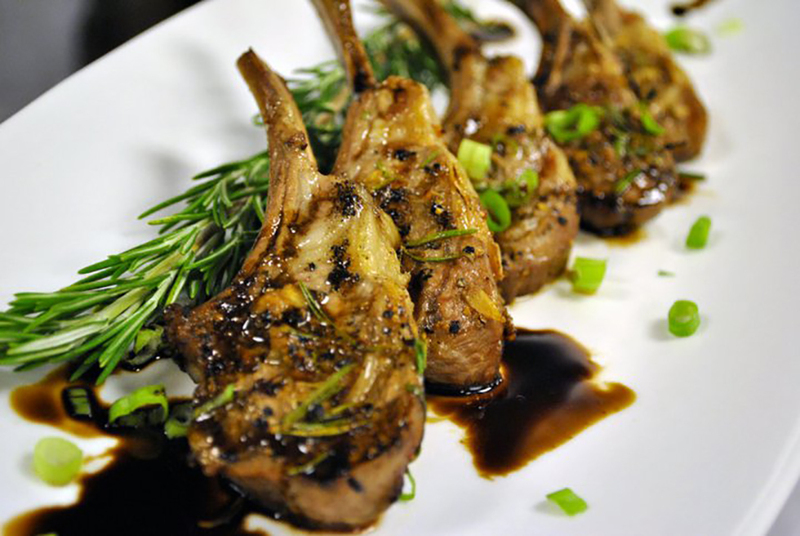 We also specialize in custom menus for a lot of our corporate clients, recently we paired a Rosemary Grilled Lamb Chop with our Chicken Caprese, it was delicious! 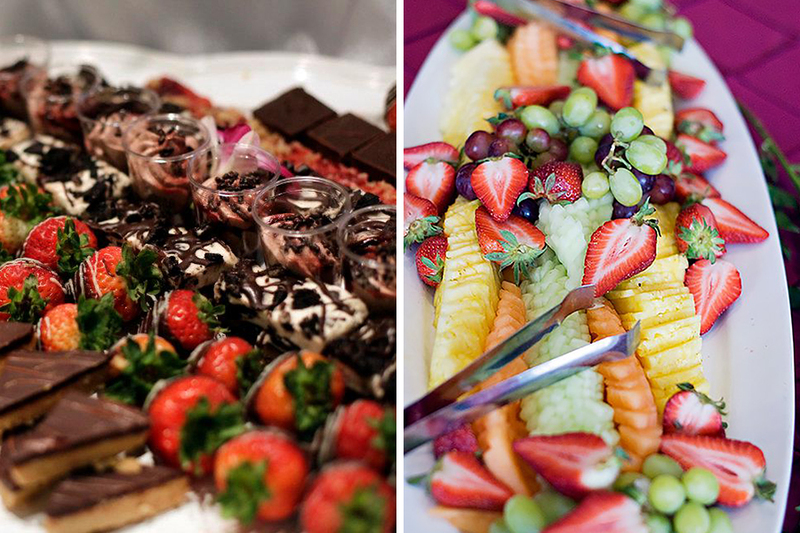 Weddings: A lot of our weddings prefer a plated meal over buffet. They also like to offer choices to their guests, some of the favorites are: Champagne Chicken, Chicken Monterey, Cabernet Tenderloin Medallions, Maple Glazed Salmon. Talk over menus ideas as a couple and try to determine what menu style of service you want for your reception. Are you looking for a more formal plated dinner, a casual buffet or maybe even food stations for a more mingling, strolling feel to your event? That will really help you to narrow down menu selections and budget. Tastings with the caterer are very helpful in determining your final menu as well. Most of our corporate events want some type of appetizer, many times it is passed canapés during the cocktail hour and then move into dinner, usually plated, a duo plate most often and then of course dessert to follow. Some corporate events will opt for heavy hors d’oeuvre in place of dinner. Usually then several stations are set-up throughout the event space for mingling, strolling and heavy hors d’oeuvre. We do alter entrees on a regular basis for clients. In this day and age we are dealing with a lot of different food allergies and menu different styles of eating – Vegan, Vegetarian, etc. We are always willing to work with a client to modify for them a menu to best fit their particular needs. 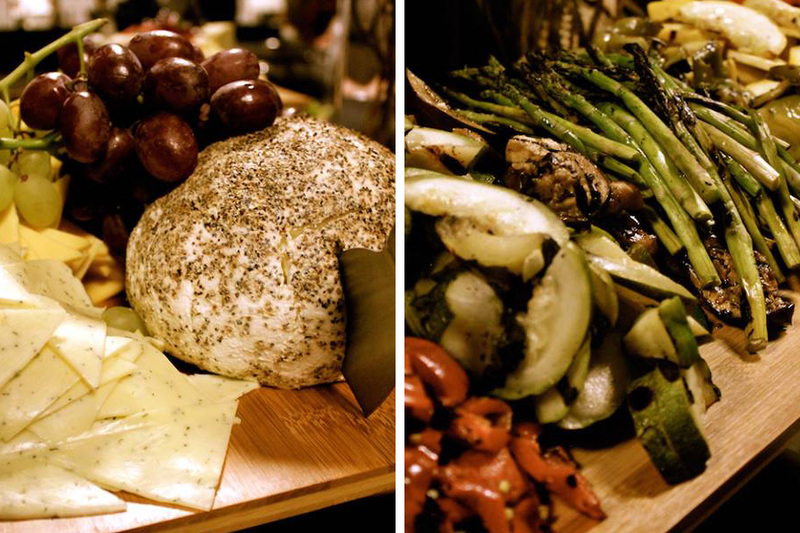 We can’t wait for our next Event with Applause, as it’s always a guaranteed delicious meal with incredible service! Consider Applause Catering for your next event! A beautiful couple, Steve & Katelyn, celebrated their Wedding Reception at The Ballroom this past fall. The very talented Bradley Productions captured these two as they celebrated their nuptials amongst their family and friends. The two danced their way into the night within the columns of The Ballroom after a romantic dinner surrounded by their stunning floral and table settings. 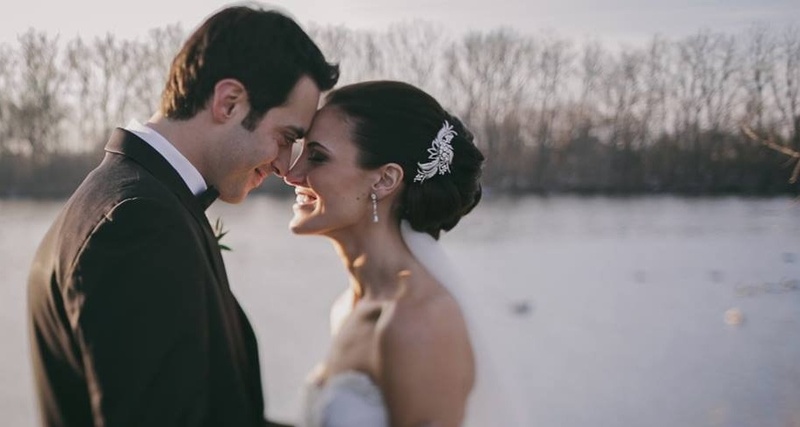 Click the image to watch these sweet newlyweds share their moments. 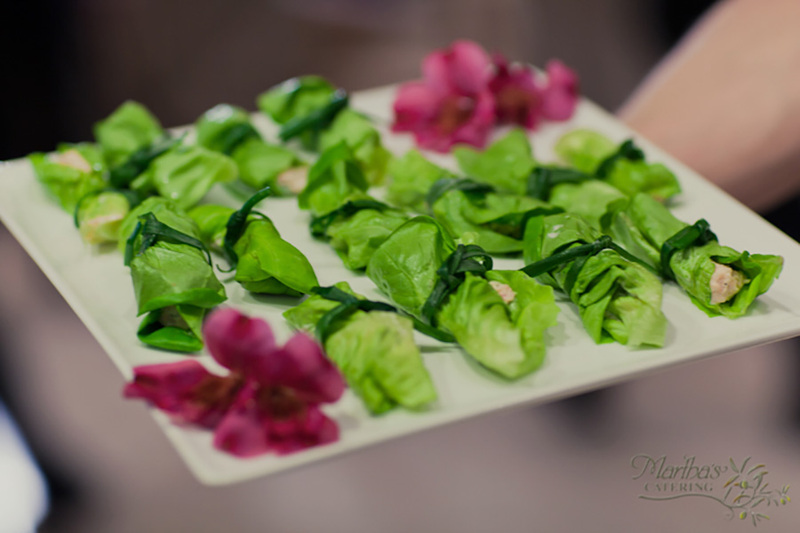 Most important to me as a caterer are professionalism, presentation and flavor! These are all essential to WOW our guests! While our dishes don’t really vary per season we have the ability to customize the menu to fit you’re the time of year upon request. I have one fall bride looking to take the standard house salad and add cranberries and apple slices to the salad, topped with an apple vinaigrette dressing. These types of requests are what set us apart from other caterers. We also have a menu that is 100% customizable based on the local, fresher ingredients. While most people think it’s best to stay safe and pick a chicken and a beef, it’s your wedding, it’s your special day! Pick menu items that represent you. The most popular style for Corporate Events this year has been a strolling dinner. I created a whole Asian style meal for a bride in 2015. We took their recipes and mixed it with Chef’s ideas and created an authentic Asian style meal for their reception. Chef has also done raw vegan entrees for events before too. We thank Martha’s for taking to time to answer the Ballroom’s questions to help our future couples decide on their caterer! 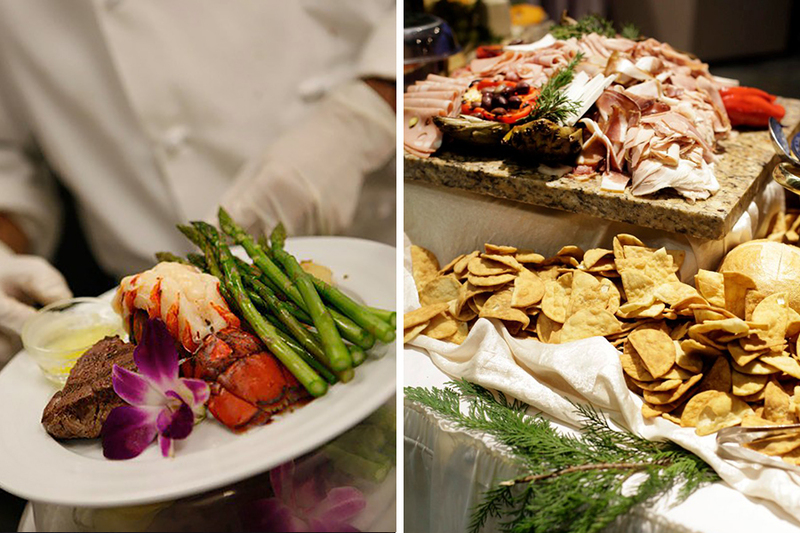 Martha’s has years and years of experience in the catering industry, as well as incredible tastes and service to match. Last week The Ballroom announced that they would play host to a series based on our Five Caterers. Today we will be kicking off the series with The Gilmore Collection. With a rich and vast history in the catering industry, The Gilmore Collection has roots all over the country – however has settled their roots in restaurants all over West Michigan. From The Kirby House in Grand Haven to the B.O.B. 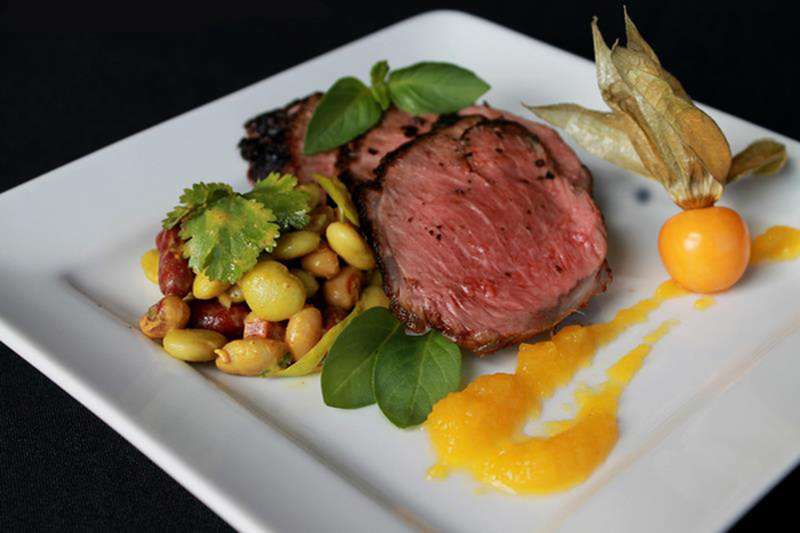 in Downtown Grand Rapids, The Gilmore Collection is a wonderful example of the diversity of dishes that their catering service offers. 1. 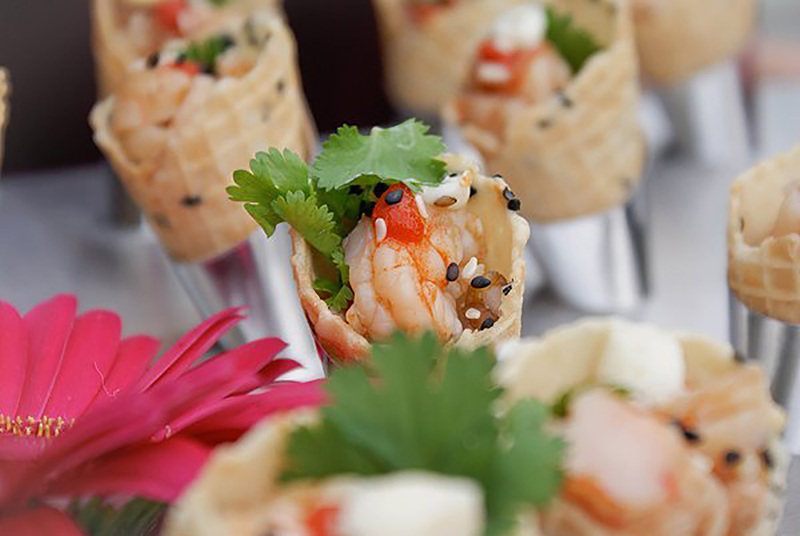 What is most important to you as a caterer? The most important thing to our Gilmore Catering is fantastic food and customer service. We strive to only use the freshest ingredients, the local farmers, the best staff. 2. Do your dishes and recipes vary per season, and if yes, how so? 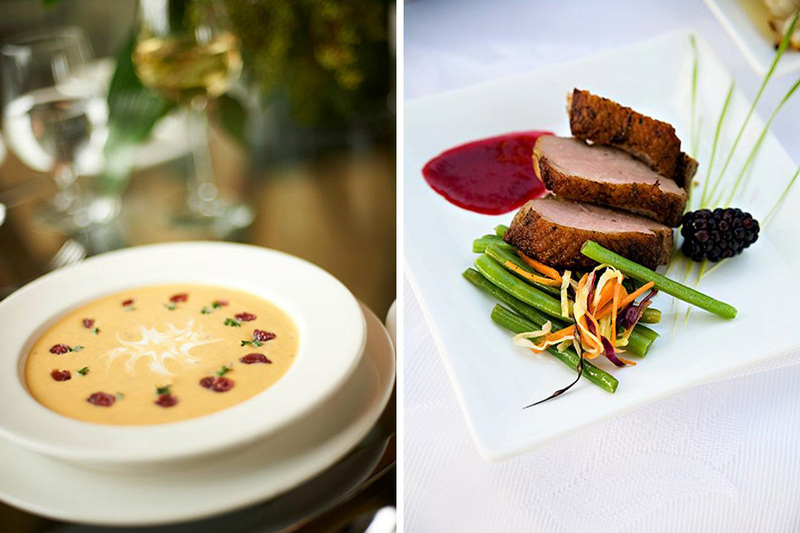 We customize menus for every season again using the best local seasonal products. In the spring baby new potatoes from Holland, fresh asparagus, spring lamb. In the summer the bountiful vegetables at the Farmer’s Markets. Fall menus tend to stay centered around comfort foods, root vegetables and local pork farmers. We also tend to trend the menus towards the particular holiday season ie Valentine’s Day, Christmas. 4. 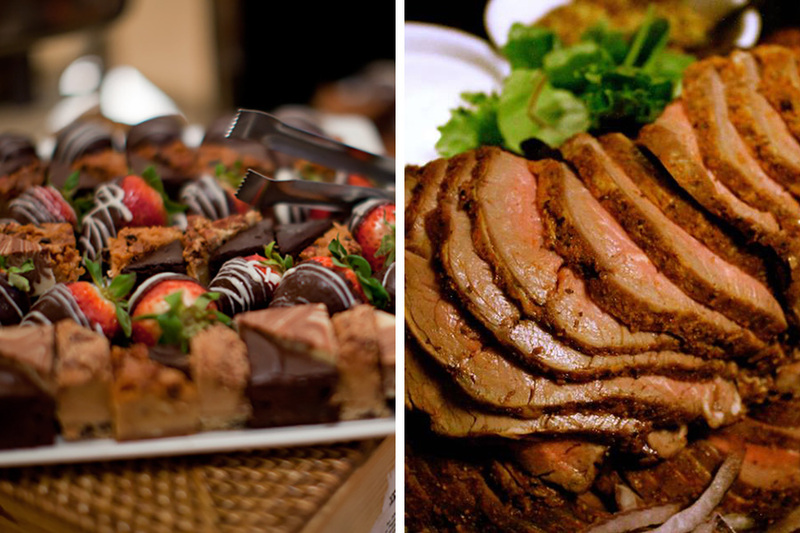 What is your most popular selection for Corporate Events and Weddings? 5. What is your best advice for couples planning their wedding menus? Customize your menu to fit with the season and most importantly pick your personal favorites. 6. 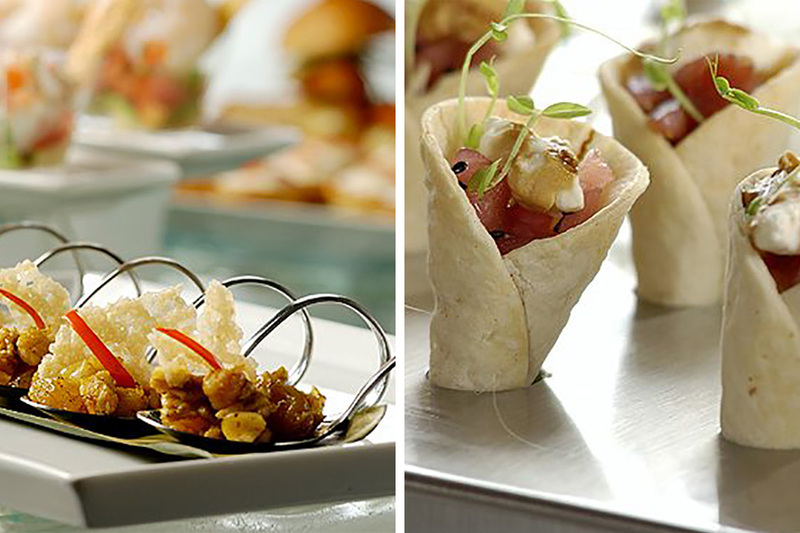 Do you find that most Corporate Events request heavy appetizers, entrees or both? We customize menus on an on-going basis so I am not sure of a good answer for that. We are great at customizing for every special meal circumstance. 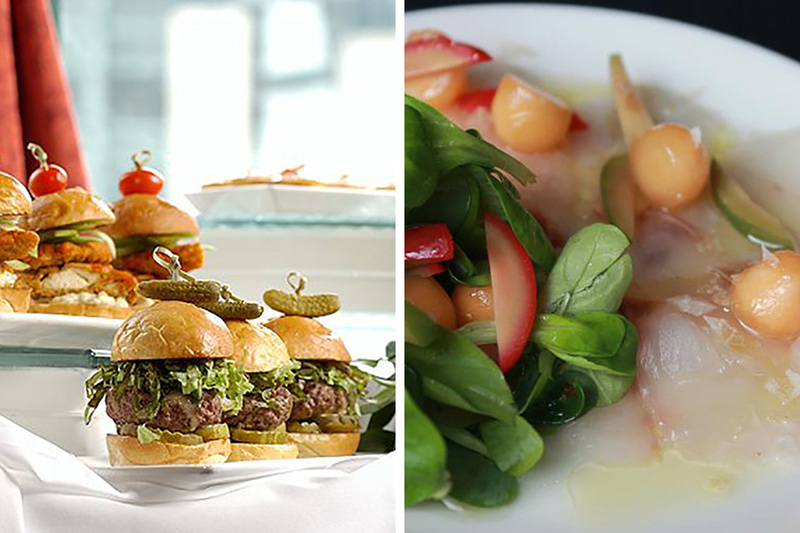 Take a peak at some of the mouth watering recipes that can be found through Gilmore’s talented team! Last week The Ballroom announced that it will be hosting a short series on Wedding Trends in the industry. This week we’re kicking it off with one of our favorite subjects: the wedding gown!! Though every young girl dreams of her prince charming and perfect wedding celebration, one also fantasizes of all embellishments and designs her dress will encompass. Upon all other aspects of a wedding, the dress is an essential element primarily to the bride. Gowns have an influential effect on the wedding décor, and overall themes of weddings today. From lace and beading designs, to mermaid and ball gown styles, the wedding dress is significantly ever changing. As new trends originate and styles recycle, brides to be are focusing in on what’s most important for them to portray about their personalities and traditions on their special day. We interviewed Margaret Torongo from Renee Austin Wedding, to inquire about what she believes to be the main trends of this upcoming season. We also probed about her work as owner and her inspirations for the industry. Enjoy our little interview with Margaret below! 1.What would you say are the bridal gown trends for this upcoming season? High necks, open backs and embellished lace. We are seeing an even higher demand for the champagne colored gowns. 2. Do you have a favorite bridal gown style? Yes! Personally I love the ‘bigger the better’ gowns. This style isn’t for everyone but I love that you have the chance to wear this over the top ball gown for one day. Bridal style has certainly moved away from that but I still love the Cinderella inspired gowns. 3. For bridesmaids, what would you say are trending dresses and styles for 2014? Everything lace and every shade of blush. Finally more designers added lace to their bridesmaid’s styles so think lace straps, lace tops or an allover lace. This trend started last year but it was hard to find and now every one of our designers offers a lace option so we are able to offer these dresses in all price point. 4. What inspires you most about your work? This is a loaded question I think.. haha. This answer has certainly changed over the years. J My honest answer today is the bigger part of the business. Meaning after a long Saturday I love reflecting on all the brides from the day and the happy moments we help create. Any market that I go to is so inspiring because of the obvious, the new fashions! But these days it’s the big picture for me. That I’ve created a space that brides enjoy coming to and I really enjoy reflecting on it all. I hope that all makes sense. 5. What colors/palettes are popular for this coming spring in terms of bridesmaid’s dresses and groomsmen attire? I think Blush is huge and pink are coming back in all shades. But who doesn’t love pink- it’s forever going to be a hot color! For the groomsmen we are seeing a more laid back approach with suits, tie, no jacket. Or a lighter colored suit versus the traditional black. 6. What do you find to be most challenging when helping a bride to find her perfect dress? Again a totally honest answer- the people she brings. I wish the bridal industry would push this topic more because I can’t tell you what a different experience it is with a bride along with 1 or 2 people than it is when they bring 7 +. And this isn’t to say I’ve never had a good experience with a large group. I’m just saying the majority of the time the bride ends up people pleasing and it doesn’t work out for anyone. I feel it’s my job to be here for the bride and the bride only- so it puts me in a difficult situation when I in turn feel like I have to please everyone, or worse interject because the bride is having a meltdown in the fitting room. 7. What has been the most interesting bridal gown or bridesmaids dress trend that you have ever seen? This is probably a boring answer, but color. Last year a couple designers showed some of their pieces in Black. I thought that was nuts. They looked like gowns you would wear on the red carpet. It was something that some designers tried, and it failed. 8. Will we be seeing more from the new trend; the bridal jumpsuit debuted by J. Crew? This is funny to me because I ordered a white jumpsuit for my bachelorette party. My fiancé made fun of me and I sent it back. J So no, I don’t think this will be taking off. I do think jumpsuits are super cute- they are certainly a trend but I can’t see a bride wearing that in place of a gown. 9. What colors, if any, are brides wearing other than white this season? 95% of dresses we sell are ivory or champagne. White is certainly a thing of the past. Especially because every designer now has a Diamond White or off white. The true white just isn’t shown that much anymore. Champagne is really hot and we’ve just starting selling some blush colored gowns- like a very soft pink. Which is really fun! We are so very thankful for Maggie’s expert thoughts and advice. If you have a moment, her shop is truly stunning and full of every wedding gown you could imagine.